I came across an interesting question on twitter a few days ago that sent me spiraling into a brief bout of research. Via Matthew Kirschenbaum, Matt Schneider posed the question of when the greater than (>) and less than (<) symbols first appeared on keyboards. I managed to come up with two contenders. 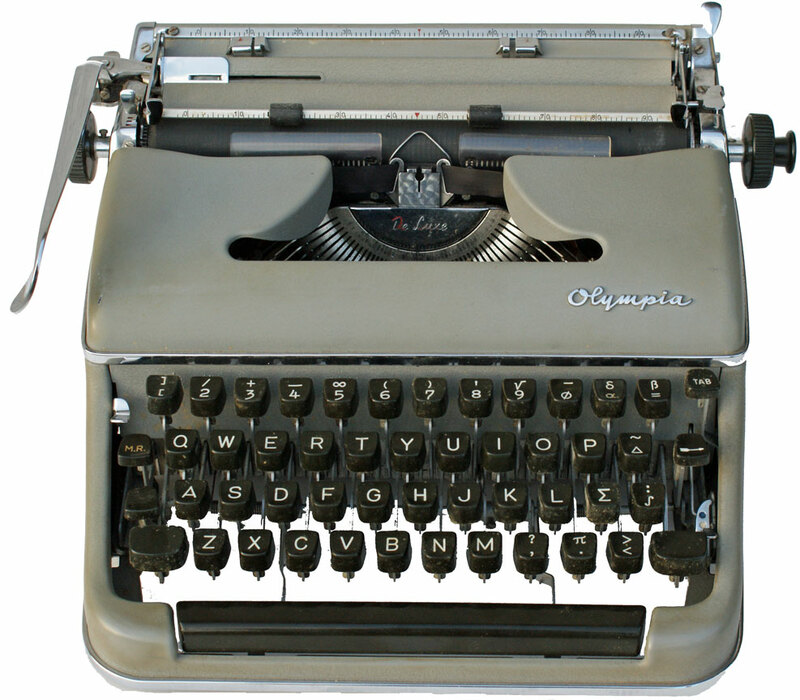 Above is the 1955 Olympia SM3 De Luxe (with science and math keys). 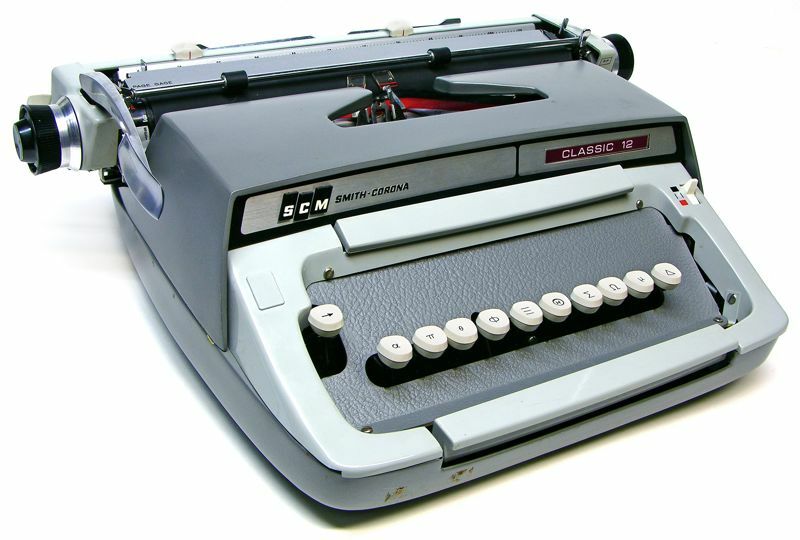 It seems that typewriters beat computers to the <pun>punch</pun>, as there were some early keyboard layouts that included mathematical symbols at a time when computers were programed in assembly languages that were coded/punched on keyboards whose layouts did not include scientific or mathematical symbols (or were programmed on colossal Univac keyboards). Looking at early-mid 20th century IBM card & key punches, it can be observed that while keypunches with alphanumeric “repertoire” emerged in 1933 with the IBM Type 032 Printing Punch, this keyboard layout was strictly alphanumeric. Above is the keyboard layout of the IBM 026 (1949). 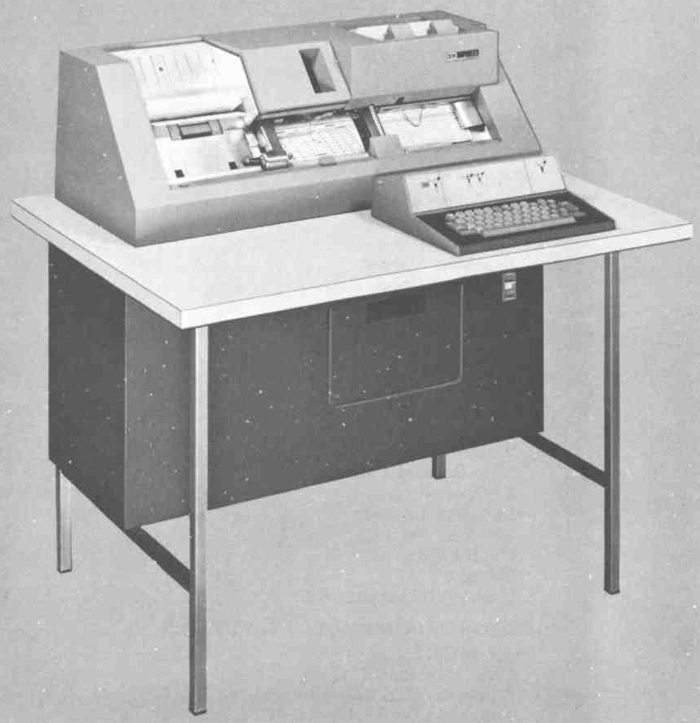 The earliest example I managed to dig up, of a “computer” keyboard with the greater than (>) and less than (<) symbols was the IBM 029 Card Punch, from 1964. In the category of “close, but no cigar, but nonetheless interesting” we have the Smith-Corona Classic 12 (Greek), which included ten keys of Greek symbols (but none useful for equations).